Just like the ability to travel around the world in a few days, or speak and communicate with someone on the opposite side of the planet within seconds, cosmetic dental procedures has hit its highest point in the history of dental works. For this reason, the number of dental works that we do year after year that have to do with elective cosmetic procedures has been on the rise for over a decade. The most common procedures are people looking for a brighter shade of smile, and those looking to uniformly create better shaped and better looking teeth. Many infomercials and over-the-counter products will sell you on the promise of being a better alternative to visiting a dental professional for teeth whitening. While over-the-counter products and teeth whitening strips are a good alternative to visiting your local dentist, there are some things to be weary of. Sometimes when taking the process into your own home, in your own bathroom, you do not understand the harsh effects of the abrasive agents that actually bleach the teeth. Each year we have dozens of cases where someone comes into the office with tremendous gum pain due to home bleaching. What’s happened in their case is that the strong chemicals in their over-the-counter kits actually negatively affected their gum-line. The agents that are used for teeth in order to dissolve stains are highly toxic to the gums. The best teeth whitening method is to let a dental professional handle the treatment. Not only is this procedure much more effective, uniform, and safe for your overall oral health but it is much quicker, being done in one to two office visits. When looking for how to whiten teeth, you need to consider not just the quickest and cheapest option but also the one that takes your complete oral health into consideration. Veneers are teeth covering sheets. The sheets are porcelain, and are uniquely fitted by a highly specialized lab technician by high-tech machinery to create a perfect smile for your mouth. If you have a decayed tooth, stained teeth, or otherwise unattractive teeth, porcelains veneers are a great option for you to consider. They are usually the most expensive way to replace or improve your current smile, however the results are long-lasting and make for the most dramatic results. 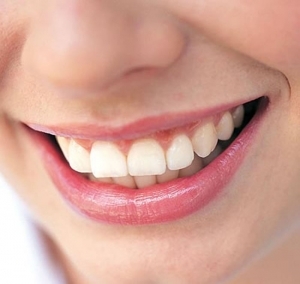 Veneers cover teeth that you already have. By simply shaving off some of the outer layers of enamel, the veneers can be bonded onto the top of your teeth. This means that stains will be covered, gaps can be filled, and otherwise oddly shaped teeth can be formed into the ideal shape and size. “How much are veneers?” is something that we get a lot of people calling us and asking about. As much of a canned response as it may sound, prices do, in fact, vary with many different inputs. We can never really give an approximate cost without having the client visit us for a free consultation. Now consider this, even the best dental insurance plans will not cover all of the cost of elective cosmetic dentistry. Therefore it is important to really consider how much you really value these procedures. In the case of tooth brightening, it is not a procedure that’ll last forever. As teeth age they will continue to fade. In addition to cosmetic dentistry we also provide restorative and preventive care for our patients. Preventive care is really the secret ingredient to long-lasting dental health and avoiding such elements as gingivitis, bad breath, and gum disease. So, once you’ve gone through all of our pages, send us a quick note telling us when a good time is to come meet with us via our online appointment request form. We’ll be happy to work with you today, and on into the future to ensure you keep your bright smile!